What are the Benefits of Installing DIY Kitchen Cabinets? If you are bored with the current kitchen décor, redesigning it can lift your mood and brighten the dull winter season. What can be better than installing new kitchen cabinets while redesigning the cooking space? 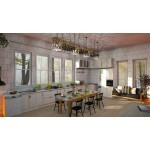 When choosing the apt cabinets for kitchen' décor, there are innumerable options to choose from. If you are planning to include beautiful and stylish cabinets in your culinary space at a budget price, then DIY cabinets are a great option. It is a cost-effective way to revamp your kitchen, changing the way it looks, and in the meantime, increasing the value of your home and quality of living. Do-it-yourself or DIY cabinets are unassembled cabinets that are transported by freight to the selected delivery location of the purchaser. These cabinets come ready for the builder or customer, that can be instantly built and installed. DIY kitchen cabinets are ready to use and can be assembled quickly and easily. If you have an inclination towards do-it-yourself projects, then select these cabinets for your kitchen. Get the pleasure of building your own cabinetry, and see the splendid transformation of your kitchen. DIY cabinetry is a perfect combination of flexibility and affordability, that makes it an ideal cabinet assembly option for homeowners considering a new kitchen makeover. Before buying your suitable kitchen cabinets, take a look at the following benefits offered by the DIY cabinets. DIY kitchen cabinets are available in a wide range of styles, colors, shapes, and sizes in the market. After purchasing them, these cabinets can be readily assembled, which can make for a more flexible and customized kitchen cabinet solution. 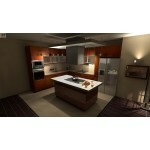 You have the option to choose the right components according to your requirements to build your desired kitchen cabinet. After the cabinets reach your place, you will simply have to assemble them according to the manufacturer's instructions and install them in the kitchen. This provides you with more flexibility, in comparison to custom made cabinets. If you are a DIY enthusiast, these cabinets are right up your alley. DIY kitchen cabinets offer easy assembly and can save money and time for the homeowners. These cabinets are designed for easy assembly and are a great option for those who are working on a limited budget. Even a beginner in DIY projects, who has little experience with cabinet assembly can easily put them together without much difficulty. For any additional resources, there are many online videos, step-by-step assembling pictures, and tutorials available, which can be accessed easily. Available in a variety of styles, colors, grains, details, and stains, DIY kitchen cabinets are compatible with any kind of kitchen decor or design. 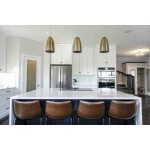 You can perfectly match these DIY kitchen cabinets with any standard kitchen design, U-shaped kitchen space, or island. Available in varied sizes and arrangements, these cabinets can offer you surplus storage space, apart from enhancing the visual appeal of the kitchen. Your kitchen will have a tidy and organized look with all the necessary items arranged in the right places. DIY cabinetry is a cost-effective alternative to pre-assembled cabinets as the price of similar quality custom-made cabinets are much higher. This is due to the fact that the manufacturer produces the parts in bulk quantity. Furthermore, these cabinets are found in multiple varieties and budgets, ranging from good quality solid wood of different types to modern wood alternatives, having similar durability. Even the medium-density fiberboard (MDF) can provide you with high-end cabinets, that can enhance the aesthetic of your kitchen. Added to these, there is no need to spend money on contractors, carpentry tools, and more, as DIY cabinets are easy to assemble. 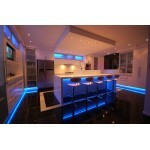 Therefore, assembling and customization charges are eradicated from the process of purchasing this cabinetry. DIY kitchen cabinets are easy to transport and don't involve many hassles. This is because these cabinets are shipped flat-pack, or packaged and transported in a flat box, that benefits in easy handling and reduced freight costs. This flat-pack also facilitates in a lower risk of damages that may take place during transportation. While loading the packages onto a vehicle for transferring them, these cabinets are placed in a way that uses less space. The sleek, light-weight boxes can be easily and rapidly unloaded upon reaching the destination. DIY kitchen cabinets have a number advantages on their side that make them an ideal choice for any kind of home projects. These cabinets are a great option for those who want to draw satisfaction from assembling the kitchen cabinets themselves. So, with these awesome benefits, the DIY kitchen cabinets can really be a wonderful addition to your kitchen.